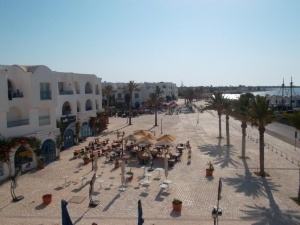 Houmt-Souk is the main town of Djerba and is the center of lively markets. 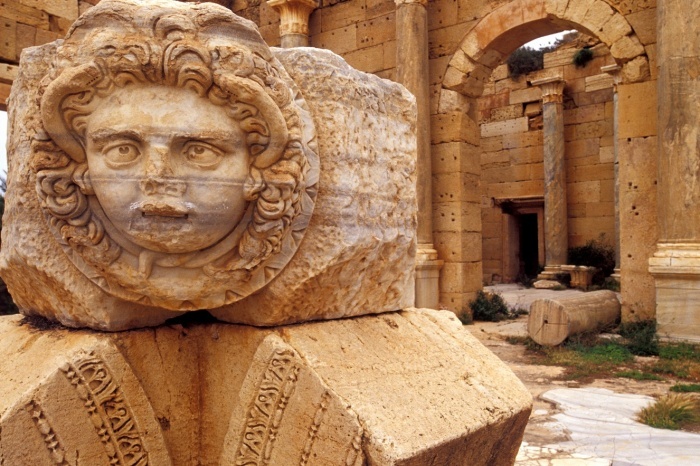 Lying on the northern coast, Roman settled down here recognizing its importance and named it Griba which later developed in to a trading center. The market quarter has two sections- one vaulted souk and another for the foodstuffs. 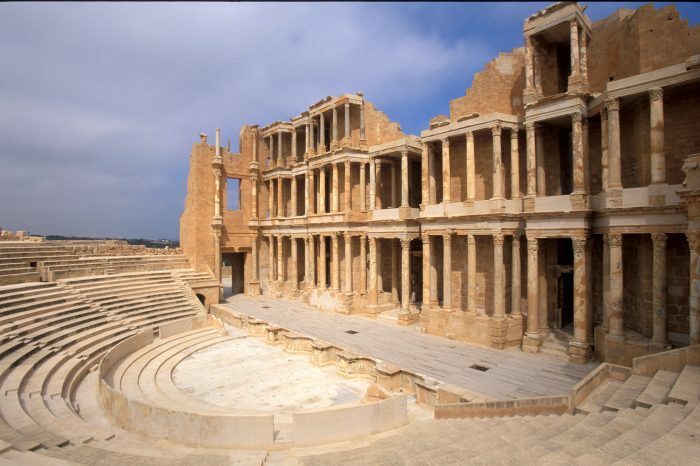 You can also visit the Borj el Kebir which is a strong fortress built in the 13th century which was later re-strengthened in the 15th century. The Folk Museum which is also known as the Musée des Arts et Traditions Popularies where you can see the display of traditional colourful costumes, old jewelry, a potter’s workshop, old marriage chests. 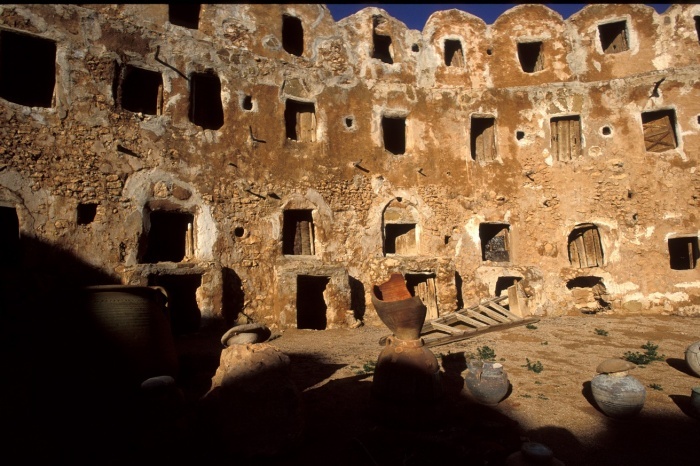 The museum is the 18th century old beautiful building Zaouia of Sidi Zitouni with charming stalactitic ceilings. One of the rooms of the building displays the old editions of the Holy Koran. You can move towards the small fishing harbor which holds its market on Monday and Thursday and shop for a range of items and souvenirs. The Strangers’ Mosque which is located on the eastern side of the old town is said to be the finest mosque in Houmt-Souk. 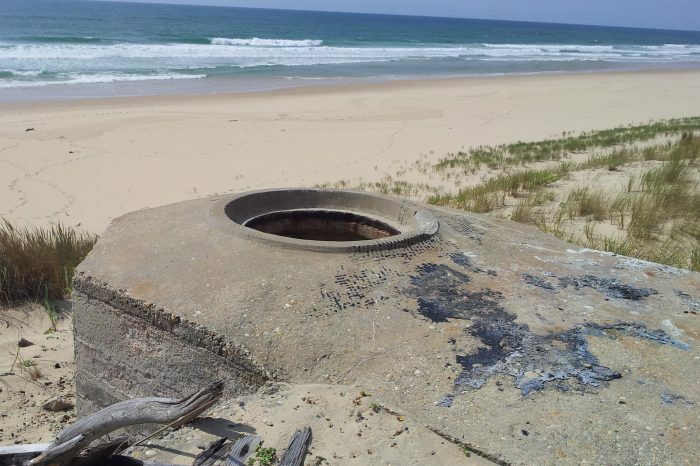 You can take out some time to visit it. 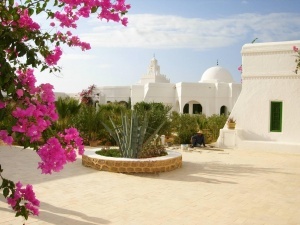 The region of Guellala in Djerba ,employs some 187 craftsmen and counts 28 pottery manufactories, 25 production and commercial premises as well as 22 handicraft shops. A Berber village on the south of Djerba, Guellala is also known for its silver Jewellery ware and its traditional olive pressing industry. 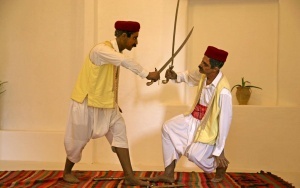 The town is also famous for its museum, which re-enacts weddings and olive pressing. 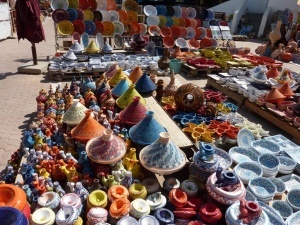 The region which is visited by an important number of visitors throughout the year is devising ways to preserve its pottery industry, threatened by the shortage of clay, used to make its unique potteries and handicraft. 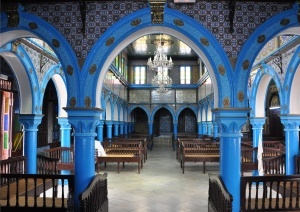 La Ghriba in Djerba is a popular synagogue of North Africa which is situated 1 Km east of Er Riadh. It is believed that the Synagogue was built with the stone of the Solomon Temple of Jerusalem which was destroyed. According to another legend, the La Ghriba was built when a “holy stone” probably a meteorite fell in to that site. At the La Ghriba, you find fine paneling inside, some candlesticks of olden days, torah scrolls and other objects belonging to a cult.